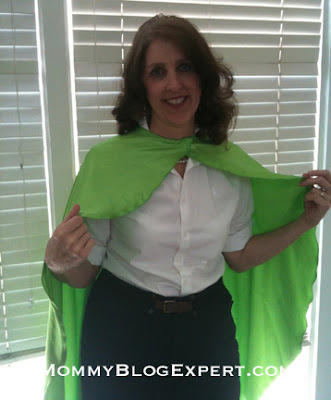 In metro areas across America, print and online media and Television anchors -- and mom bloggers like me -- will be celebrating National Super Hero Day on Saturday. This is a special day that was originally created by a group of Marvel Comics employees back in 1995. A variety of fun events from coast to coast are being held to mark the occasion again this year. What's all the hoopla about? Of course Marvel and The Avengers feature movie will be opening on the big screen May 4, but that's not the whole story. There's also the classic fictional heroes Baby Boomers like me grew up with to honor this weekend, like Superman, Batman, and all the rest that have endeared generations before and since. And, I'd be remiss, if I didn't mention the kaleidoscope of real life heroes to honor tomorrow from the everyday person that does the smallest bit of good for a stranger to the child or adult who saves another human being or animal in harm's way to the complete spectrum of community service workers who protect us in so many different ways 24 hours a day to active duty personnel serving in the U.S. military at this very moment. Come to think of it. Moms are pretty heroic, too, don't you think? After all, we are the ones who endure morning sickness and all the other lovely sentiments of pregnancy and actual child birth. 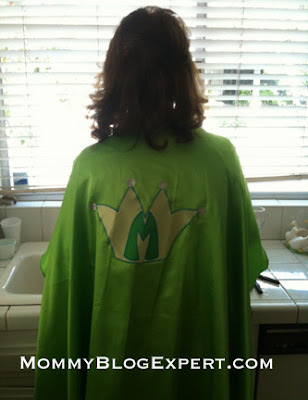 Who else but a Super Mom Hero does dishes? Mommies are also the primary day-to-day care givers of children from the moment of birth to the moments we send our kids off to college and then out into the world, to walking down the aisle beside them at weddings. Mom to the rescue! From diaper changing, nursing baby, doing laundry, dish washing, and carpool driving to tutor, soccer mom, cook, maid, personal assistant, lawyer, and family therapist, who can imagine the world without moms taking care of everyone else 24/7? To list all the things we mothers do for our children and our families would cause this post to run on almost to infinity, perhaps. So instead, I'll tell you about PowerCapes the company who provided the colorful Super Mom Cape featured in this post. It was quick and easy as 1-2-3 for me to make this by using the company's site to design my cape which arrived in the mail just three days later. They also offer express shipping if you'd like it even faster. Constructed of 100% polyester light weight satin, these colorful and whimsical capes are proudly and quality made in the USA in Michigan and come in three sizes for toddlers, older kids, and adults. Currently priced from just $24.99-$39.99, each cape is completely customizable because you design them yourself online. Available in 16 different hues and an equally wide assortment of emblems, colors, and letters to personalize the cape to make it your own. 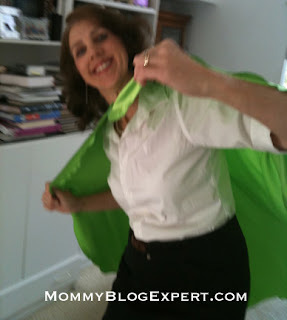 Power Capes are not just for National Superhero Day, 365 days a year these are a fun way for you to dress the part, helping your kids to recognize all you do as their ultimate hero: Super Mom. This would make a memorable gift for another hero in your child's life too, such as that other unsung hero -- Daddy -- or another important person in your son or daughter's life such as a teacher, babysitter, or nanny. 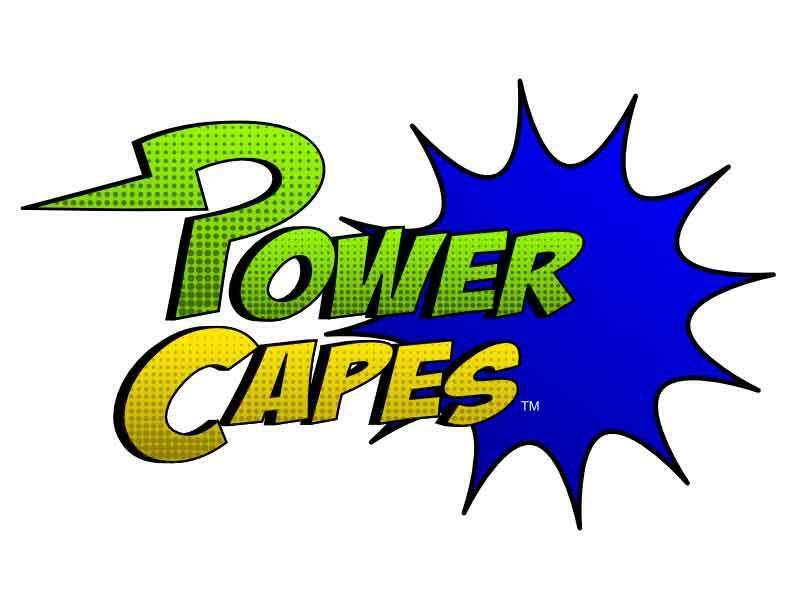 Power Capes come in sizes for little ones, too. 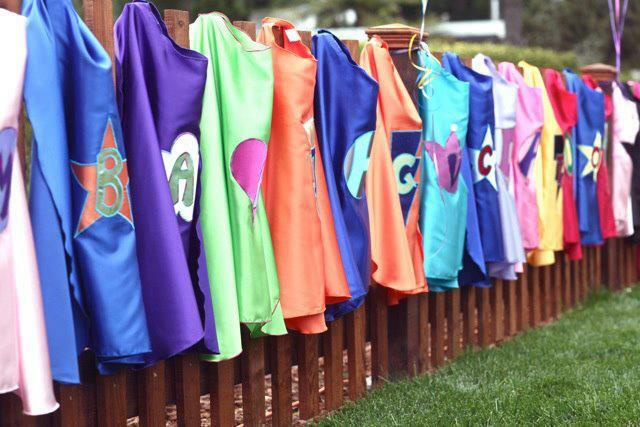 So you may want to get your child to design their own one-of-a-kind cape to play the all-important role of sidekick hero. Whether for your own child or as a gift for one of their friends, both boys and girls will enjoy wearing these as costumes, at parties and for every day pretend dress up and dramatic role playing. 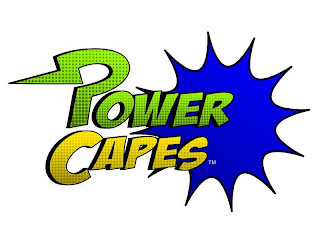 Worth noting: There's also an element of good in that the company works with individuals, schools and organizations on fund raising and donate a cape projects associated with the extensive line of capes and accessories offered for heroes from every walk of life. 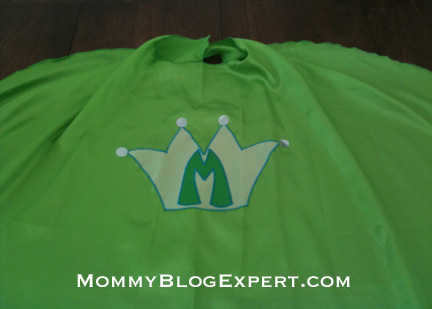 FTC Disclosure: MommyBlogExpert received the custom designed super hero cape from PowerCapes to facilitate this review. I did not receive any other payment or compensation associated with this post. See complete FTC Disclosure information that appears at the bottom of MommyBlogExpert's main page and at the bottom of every individual post on this blog, including this one.